We are in full Sony Xperia Z2 review preparation mode after having the phone in hand through the weekend. For the moment, that means one thing – comparisons. 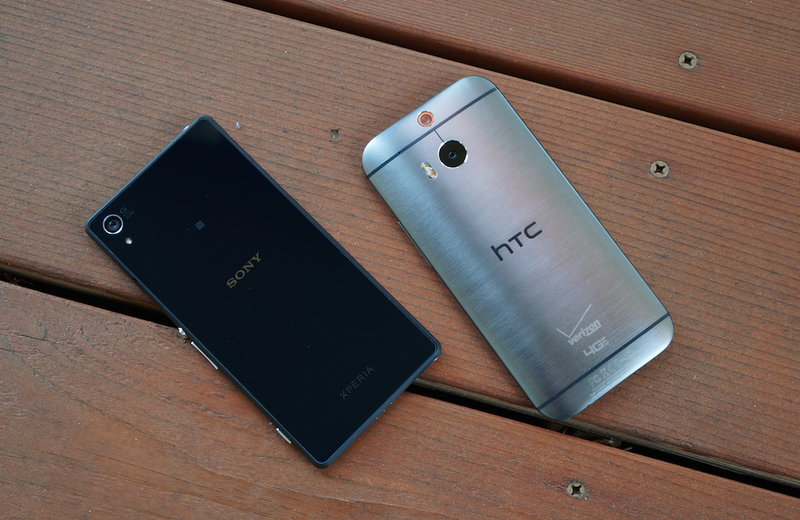 In our first of two comparisons, we have put the HTC One (M8) up against Sony’s newest flagship, giving our own thoughts on the specs, hardware design, display quality, camera UIs, and more. Both the Xperia Z2 and One (M8) carry very similar specs, but that is about the only similarity here. On a camera front, we all know that HTC went with a somewhat-risky 4MP sensor (plus a secondary depth sensor), whereas Sony is using a large 20.7MP shooter. The hardware couldn’t be more different, either. HTC has gone with an all-metal unibody exterior that is rounded to perfection to create smartphone luxury, while Sony went with a combo of glass, metal, and plastic to form a body that is quite square for a modern smartphone. If you look at their two takes on an Android skin, you will again see how different the design philosophies are. Finally, I have to say that battery life on the Xperia Z2 has been out-of-this-world good. I only had to charge the device once over the weekend, while working extra hard on day two to try and kill it. After watching the comparison clip below, be sure to let us know what else you would like to see from the Xperia Z2. Finally, be on the lookout for a similar video featuring the Galaxy S5.